Eligible students must be in grades 6-12 for the classical vocal solo competition. Eligible students must be in grades 6-12 for small ensemble festival. All participants must ensure that they are available for all dates and times before completing the application. The competition is a significant time commitment. Participants must be active members of a school choral program (if applicable). 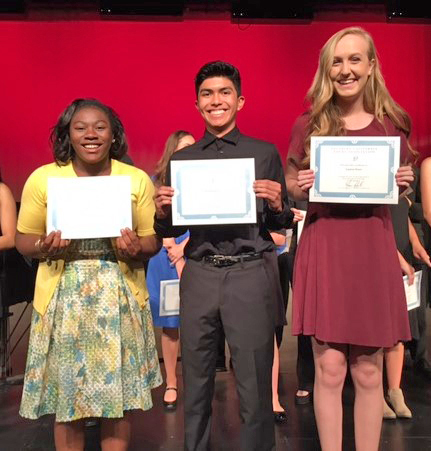 SCVA participants who earn a superior rating will be invited to the CMEA State Solo and Small Ensemble Festival. All applications must be accompanied by a school check or money order payable to SCVA or a PayPal receipt. Please, no personal checks or cash. 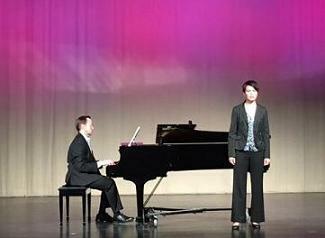 To be eligible for the vocal solo competition, students must perform a classical music, musical theatre, or jazz standard solo. A selection from the 26 Italian art song book, or equivalent is recommended. Adjudicators will be provided with original copies of the selection with all measures clearly numbered or a rating will not be given. The use of illegally photocopied material will disqualify the soloist from the competition or prevent the ensemble from receiving a rating. The performance may take place for "comments only." All performers must provide their own accompanist. All solo performances must be accompanied. When performing music requiring accompaniment, recorded accompaniment is not acceptable. Only in the circumstance of performing modern or avant-garde music in which the use of recorded accompaniment was the composers intent, will an exception to this rule be appropriate. Performers may not accompany themselves. All solo performances must be memorized. Ensemble performances may choose to perform with scores. No rating or comments will be provided to soloists or ensembles who have not met the eligibility requirements. All performances will be allowed a total of 10 minutes, including exit and entrance to the performance space as well as oral comments from the adjudicator. Registrations to participate will only be accepted online. Soloists and ensembles may choose to participate for "comments only" and not be rated or considered for the competition. SCVA does not require that the performer(s) stay beyond their performance and adjudication appointment. However, it is highly recommended that students sit in and listen and learn from attending each two hour block. The sponsoring school teacher may require that the student attend the entire session. Cash scholarships will be paid to qualifying finalists in all categories. Selections should be appropriate to the singer's age and experience level. Participants have a total of 10 minutes to perform and work with the adjudicator. Singers must provide their own skilled accompanists for all performances in the competition or festival. There will be a concert of finalists after which the highest ranked Junior High student and the top four High School students will be given awards.